In overturning Spain's control of the Americas, such great military leaders as Simón Bolívar and José de San Martín unleashed both civil wars and revolutions between 1810 and 1824. Sixteen nations emerged from these violent and cataclysmic wars. The liberators set themselves up to govern the new states they created but quickly failed as rulers. They succumbed, in part, to changes resulting from independence itself-a new political order. 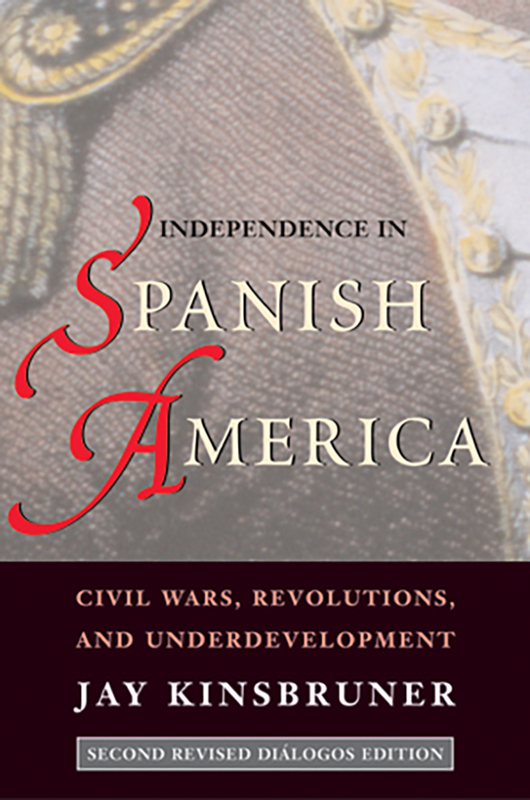 Military campaigns directed against Spain split the colonists into royalists and patriots, resulting in a decade of civil wars. The newly formed nations simultaneously embraced capitalism and liberalism, but divisions persisted over the purpose of government and the organization of the economy and society. Clearly laid out in this book is an insightful interpretation of a pivotal era in world history. This new edition, revised and enlarged to take account of recently published studies as well as a rethinking of certain prevailing views, is a compelling reinterpretation of the independence era. The turbulent history of the independence movements is set forth with attention to key figures and their ideologies, regional differences, and the legacy of underdevelopment left by the wars of independence. Jay Kinsbruner (1939-2007) published and taught on Latin American history for over thirty years. He was professor emeritus of history at Queens College, City University of New York.